OXFORD, Miss. 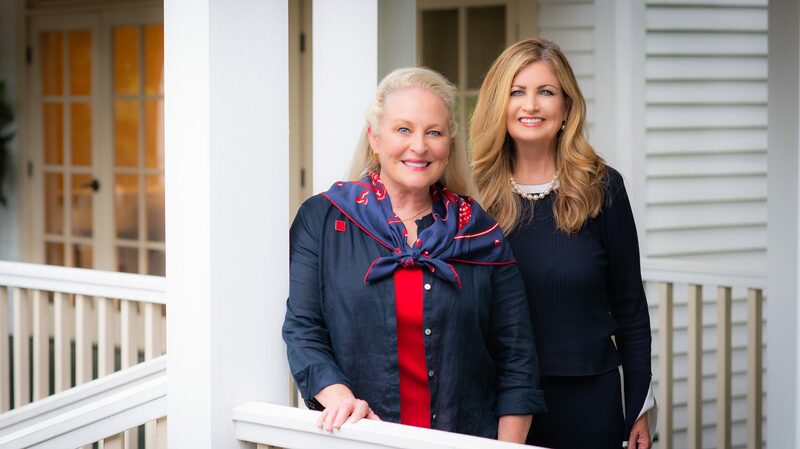 – Influential female leaders who compose the Ole Miss Women’s Council for Philanthropy at the University of Mississippi have named a new chair and welcomed three new members, fueling philanthropic activities to support scholarships and opportunities for students. Mary Susan Gallien Clinton of Naples, Florida, is leading the OMWC as chair for a two-year term, and the additional council members are Margaret Pryor Barker, of Nashville, Tennessee; Candie L. Simmons, of Jackson; and Betsy Collier Smith, of Oxford. All are alumna who are engaged in the life of their alma mater and devote service to philanthropic organizations in their respective communities. In its 18th year of existence, the OMWC has built a scholarship endowment worth more than $13.1 million. The $32,000 named OMWC scholarships are awarded each year to both female and male students and have grown to be among the largest on campus. Thus far, 145 OMWC scholars, in addition to a cohort of eight freshmen for the 2018-19 academic year, are the beneficiaries of the program, which provides scholarships, mentoring, leadership development, travel and other cultural opportunities. “We are so thrilled to have Mary Susan as our new OMWC chair,” said outgoing chair Mary Donnelly Haskell, of Oxford. “What a blessing it is to have someone with both her philanthropic and business experience. Clinton, chairman of Gallien Global Vision and board director of Insouth Bank, has served on the council’s executive board since 2013 and co-chaired the 2016 Legacy Award dinner honoring Chancellor Emeritus Robert C. Khayat. During her time at Ole Miss, Clinton was a member of Delta Gamma and is active as an adviser to the Alpha Psi chapter. Her passion for philanthropy also has been expressed through her work as the vice chair and board member with the National Domestic Violence Hotline, a former board member of the Boys and Girls Club of Collier County, financial task member of the Golisano Children’s Museum of Naples and as a founding trustee of the Naples Children and Education Foundation and the Naples Winter Wine Festival. She also serves on the advisory board of Gulfshore Life magazine. Clinton said the OMWC has experienced a remarkable level of success since its founding and is poised to make an even greater impact through the contributions of these new members. “The OMWC continues to sharpen our focus on the continued enrichment of our programming and scholarship opportunities,” she said. “We welcome the addition of these three outstanding new board members: Margaret Pryor Barker, Candie Simmons and Betsy Collier Smith. New member Barker graduated in 1990 from Ole Miss, receiving a bachelor’s degree in business administration. She and her husband, John, own and manage Two Rivers Ford in Nashville. During her undergraduate years, she was active in many campus organizations and elected as an Associated Student Body officer and homecoming queen. Barker provides leadership on the boards of the Susan G. Komen Foundation and Monroe Carrel Children’s Hospital at Vanderbilt, as well as chair of the Harding Academy Auxiliary Board. Simmons, senior vice president and regional marketing director for Regions Financial Corp., holds bachelor’s (2002) and master’s (2015) degrees in business administration. During her time at Ole Miss, she participated in organizations and clubs across campus and has continued her engagement by serving on the Ole Miss Alumni Association Board of Directors. She received the Outstanding Young Alumni Award in 2017. The professional was named to the Mississippi Business Journal’s “Top 40 Under 40” in 2009 and as a “Top 50 Leading Business Women” selection in 2013. Simmons is an active volunteer or board member with the American Heart Association, the Diabetes Foundation of Mississippi, the Cure Sickle Cell Foundation and Make-A-Wish Mississippi, among others. Smith earned a bachelor’s degree in elementary education in 2001. The business professional and her husband, Andrew, own and operate five McDonald’s restaurants. She was named a “Woman of Distinction” by the Girl Scouts and serves on the boards of the Oxford-Lafayette Chamber of Commerce, Lafayette Oxford Foundation for Tomorrow and the Ole Miss Alumni Association. Smith makes an impact throughout the Oxford community as chair of the Staff-Parish Relations Committee of the Oxford-University United Methodist Church and as a champion for education through the Oxford School District. Because of her leadership roles in parent organizations, she was named Parent of the Year twice at Bramlett Elementary School and Parent of the Year at the district level. Becoming a member of the OMWC is both an honor and a service commitment, as members devote many hours to working with students selected for scholarships and attracting funding to establish new scholarships. Through programming and mentoring, they also encourage scholars to become servant leaders in their communities and at Ole Miss. Established in 2000 by a group of female leaders and philanthropists, the council is committed to nurturing the development of students with a desire to contribute to create a caring, more ethical world. When their careers and personal lives allow, OMWC scholarship recipients are expected to give back to the innovative scholarship program. For more information on the OMWC, visit https://omwc.olemiss.edu/ or contact Suzanne Helveston at shelveston@olemiss.edu or 662-915-7273.